An even easier method to fix it is to just click on the Turn On Until Tomorrow button twice. The first click does nothing, as night shift is already on. The second click turns it off. 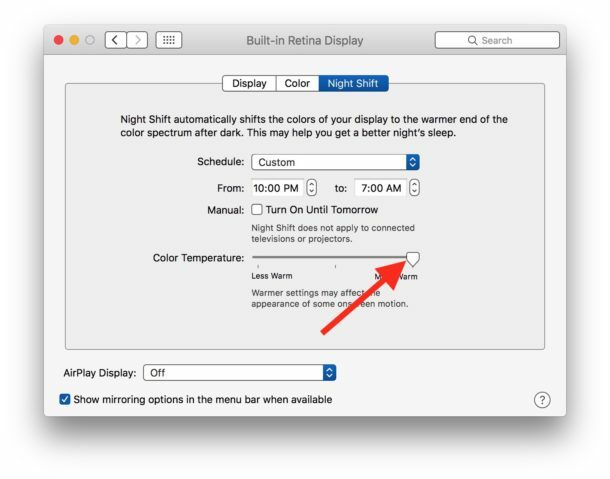 I do not use the Nite feature since it messes my Eyesight for several Hours if I use it. It messes my Color Perception. Bad Karma for me! How about a method in Terminal to permanently disable Nightshift? 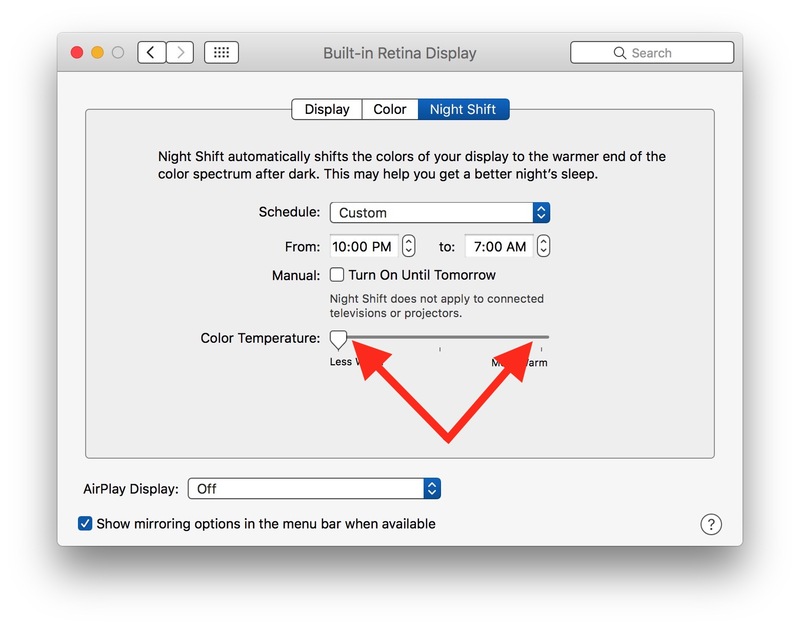 No need to disable Night Shift via Terminal. 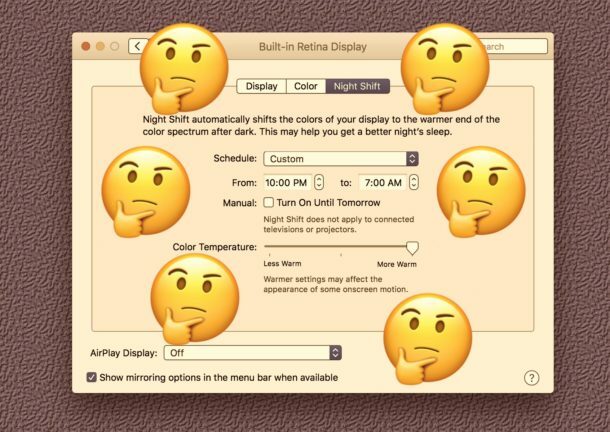 If you don’t turn on Night Shift in the first place it will not enable itself and effectively be disabled permanently. Like so many other tech companies these days, Apple don’t give a rat’s arse about software quality. It’s all about selling a big Wow! every September, to boost sales, then they’ll, maybe, get it to actually work properly after the fact, if enough people complain or it looks like they may actually lose sales over it. They, like all the other tech companies, know we are all such suckers for the big Wow!s that are always promised and rarely actually delivered, in a workable and reliable form. We have become all too willing partners in a technological abusive relationship.